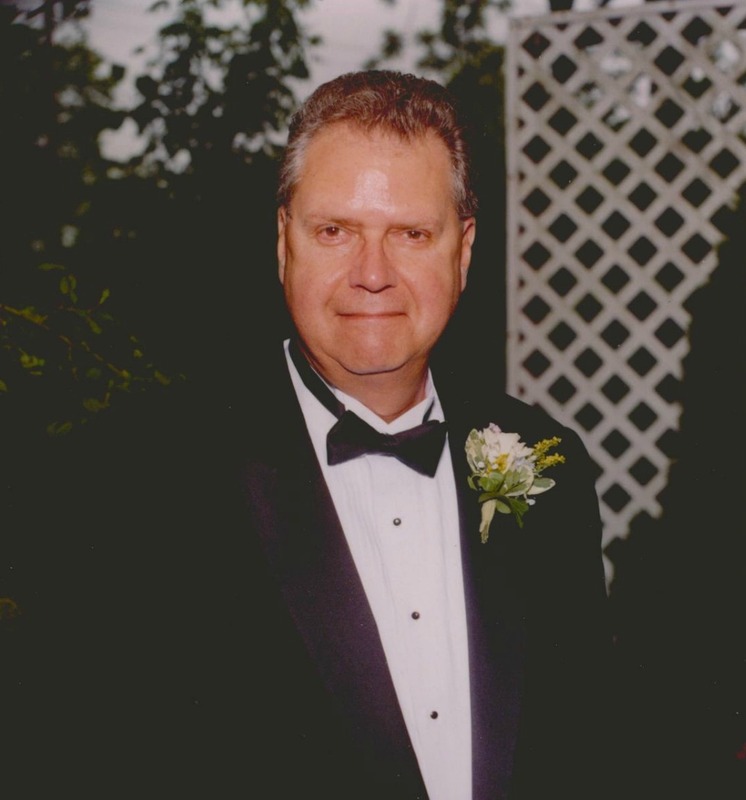 David Barnard Latta, 69, of Mesa, Arizona; passed away on May 30, 2016. A Visitation will be held at 10:00 AM, with Services held at 11:00 AM, Tuesday, June 7th at Bunker’s University Chapel, 3529 E. University Dr. in Mesa. Dave was born in Philadelphia PA to Edwin Hurley Latta and Phoebe Ruth Barnard. His father passed away when he was just 3 years old, leaving his mother to raise him on her own. His early jobs included work at a neighborhood grocery and an auto repair shop. Dave served in the Army for 3 years with two 1 year tours (1967 – 1969) in Viet Nam. When he returned he attended Drexel University where he received his Bachelor’s Degree in Mechanical Engineering. During this time, he also completed training to become a Journeyman Steamfitter and was a member of the Union for 45 years. Dave retired from Merck Pharmaceuticals after of 26 years of direct service. During his career, Dave had been an active member of the International Society of Pharmaceutical Engineers where he served a term as president and held several other offices. He was a member of the Coast Guard Auxiliary in both Ocean City and in Arizona and was a coxswain on his own boat. Dave was also active in his community serving on both the Building Committee and Architectural Committee in Sunland Springs Village where he lived. He enjoyed woodworking and handcrafted many items such as inlaid cutting boards, bowls and even a lamp base. Dave is survived by his wife, Ann; his daughters, Nancy Latta DeFusco (married to Mark DeFusco) and Diana Latta (married to Nate Harkins); Ann’s children, Susan Hansen and Brian McGinty; and his 12 grandchildren, Alex Hansen, Tyler Hansen, Sarah DeFusco, Colin McGinty, Kyle Hansen, Isabelle McGinty, Taryn DeFusco, Evan Hansen, Larissa Defusco, Emma Hansen, Alyse Harkins and Arlo McGinty. In 2015 when he was diagnosed with a severe illness, he felt blessed to have had the opportunity to retire early and to travel and do the things that he wanted to do while he still had the time. In lieu of flowers, donations may be made in honor of Dave Latta to DAV (Disabled American Veterans) online at www.dav.org or mail to DAV, PO Box 14301, Cincinnati, OH 45250. We are so sad for you and both your families. Dave was an Ace, and will never be forgotten. Stay strong and keep in touch. I’m so sorry to hear of Dave’s passing. He was a good friend and even a better father. He will be missed by everyone. So sorry to hear that Dave left us. He was a long-time friend and a good man. He’ll be missed by many. I’m glad he enjoyed his retirement and wish he’d had more time. Thanks for your service to your Country. So sorry for your loss. Dave was a part of our life for many years, and he will be missed. Dave and Ann have been my AZ neighbors for several years. Dave’s welcoming manner will be greatly missed. A great friend, for over half a century, wow, what great times. Funny, kind, and a great patriot. Fitting for you to leave us on Memorial Day. So sorry for your loss. I can assure you Dave was the best. I had the pleasure of working with him as an engineer at Merck and also the pleasure of being with him at meetings at the ISPE. He was a good friend, working partner and social friend. He will be missed. I worked for Dave on many piping projects while at Merck, his always had time to listen to the craftsman and take into account what was offerd. Sorry for your loss. Tom and I are so sorry to hear about Dave’s death. He will be missed by all of his family and friends. I worked with Dave at Merck from 1973. I remember him graduating from Drexel and we often laughed at the fact he couldn’t spell for beans. He was a real trooper!! So sorry foro your loss. A big man with a big heart. So sorry for your loss. We are so sorry. We are on a long driving trip but our thoughts and prayers are with you Ann. We have lots of good memories of our travels with you and Dave. Dave was one of my very best friends. We worked together at Merck for many years. He was an influence on everyone who knew him. We would probably not live in Pennsylvania and for sure not in Arizona if it wasn’t for Dave. We enjoyed boating, golfing (neither of us any good), fine dinning, wine tasting and cars, together. He was an ace of an engineer who mentored many young engineers who worked for him. We were fortunate to spend 4 months with him this winter. If Dave knew someone was sick in your family he would always ask about them and offer his help. He will be missed but remembered by all. Especially his humor, wit, and wisdom. Our prayers go out to Ann and his family. USCG Auxiliary, Flotilla 81 in Ocean CIty, NJ will sadly miss our shipmate, David. The tides of life have ebbed for a shipmate David, and we, his fellow members of the Coast Guard Family, will gather to honor his memory at ur next meeting. We mourn not for our departed shipmate who has sailed to the Port of No Return. David has at last dropped anchor in the harbor eternally secure from gales and raging seas of life. Let us find consolation for ourselves in the knowledge that when God so wills, we too will join him there, and with him enjoy eternal tranquility. Goodbye Dave! There are so many wonderful memories in our years of friendship with Dave and Ann. Traveling together, sightseeing, sitting on the patio after sharing a meal together. One of my favorites is when Dave helped my husband and I create 2 bedrooms, for our 2 grandsons, in the garage of our daughter’s new home here in Arizona. Dave worked with us for many days cutting wallboard and mudding seams, and even took the time to teach those same 2 grandsons (aged 12 and 15 at the time) “how to mud” so that they would have the experience of having helped to build their own rooms. Great teaching moment! So sorry to hear of your loss. I only met Dave once or twice over lunch with you, Ann. How he made you smile! Our thoughts and prayers to you and your family. May God bless you and comfort you with memories shared over the years. Dave and I worked together, on and off, for about 20 years. He had some great sayings that still make me laugh when I think of them. He was good guy. He will be missed. Dave was my first boss at Merck…my first real boss in any job actually. He was reason I got into Merck and stuck with it back in 2000. He took a chance on a 19 yr old Drexel computer engineering Co-op with no experience whatsoever in Pharma; and took me under his wing. He was my mentor for 4 yrs and taught me most of what I know about engineering, interacting with people, and getting things DONE. I, like so many others that Dave has mentored, will continue to carry on his memory proudly by how we conduct ourselves professionally, how we represent the company and in the successes we achieve. Dave, thank you for all you have given me. I will never forget you. I worked for Dave for 4 years. He was tough but fair and you always knew where you stood with him. He was a good man, a strong leader and a great mentor. God bless you and your family. Dave was a good friend for many years. We smile as we remember the happy memories that were created so long ago. I’m sorry he is gone so soon but I’m glad he is no longer suffering from this dreaded disease. My deep condolences on your loss. We just never know what the future holds. I knew Dave at Merck and though not a close co-worker, he was forever friendly and willing to help. So glad to hear that he had the time to enjoy the pleasures in life after a rich career. Peace to you all.